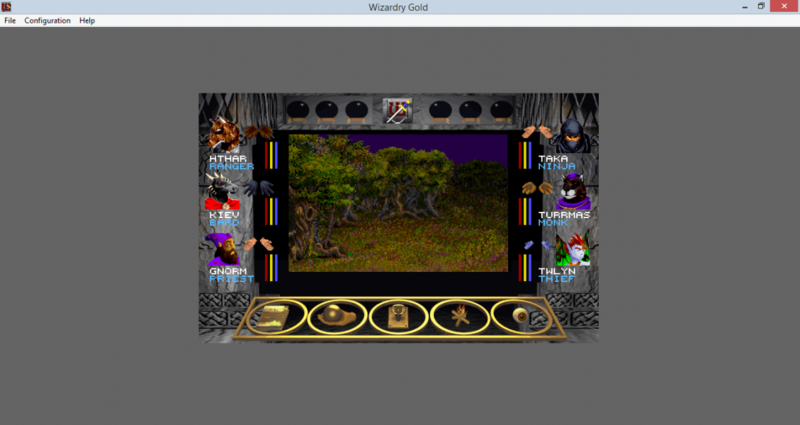 Wizardry Gold is an updated version of Wizardry: Crusaders of the Dark Savant featuring new graphics, an automap feature and digital speech for narration. 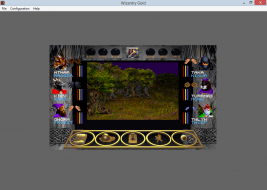 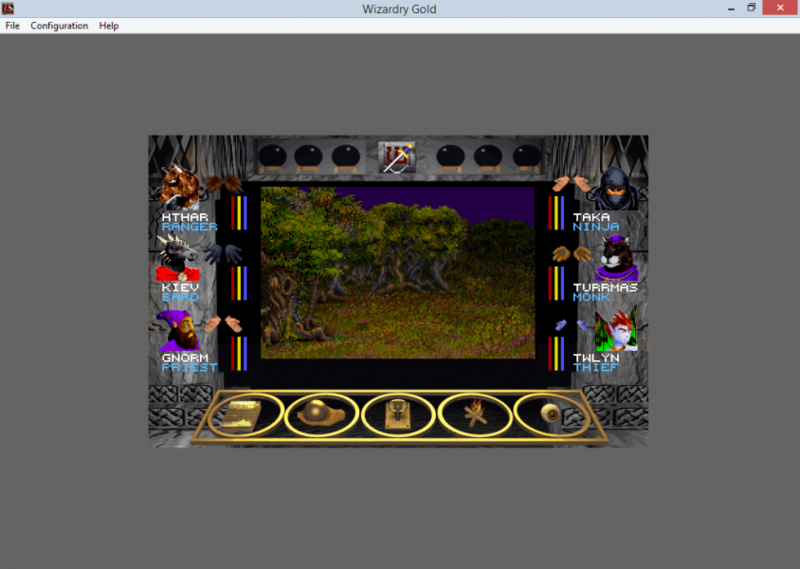 Wizardry Gold always runs windowed; the window can be resized or maximized to fit the screen but the actual gameplay area inside the window is always windowboxed 640x400 as are the FMV cutscenes. 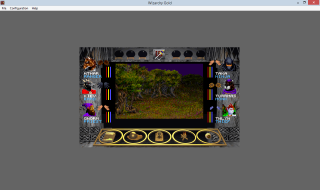 The closest to widescreen support possible with this version is setting WIZARD.EXE to run in 640x480 compatibility mode so it fits the screen better. 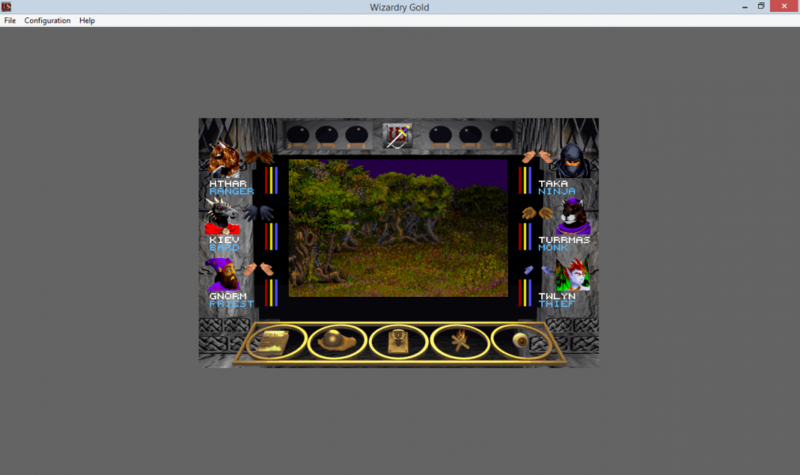 The GOG.com and Steam releases also include the original DOS game, Wizardry: Crusaders of the Dark Savant; it runs in fullscreen 640x480 under DOSBox but it lacks the Wizardry Gold changes.